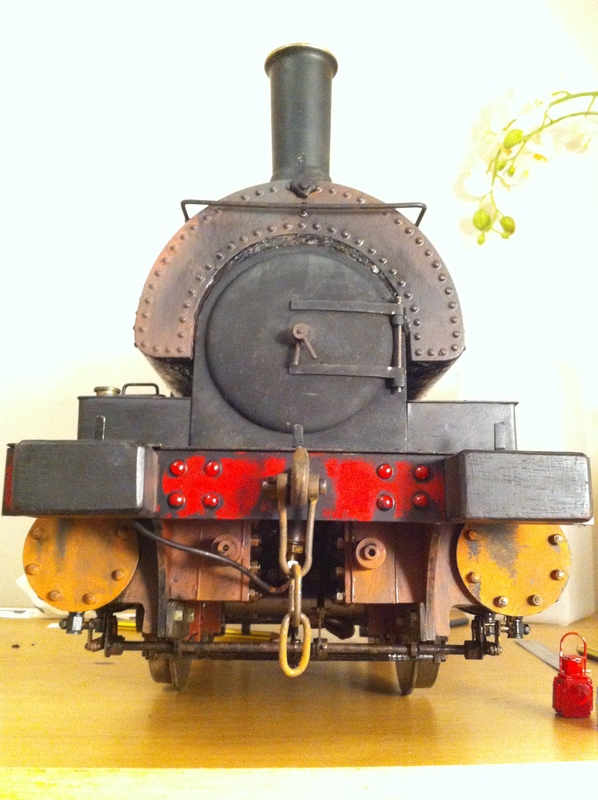 Fresh out of our workshops having received a full repaint and light overhaul. 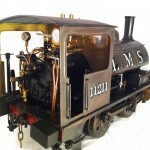 This is a model engineer built loco, and not a kit built model, and comes with a full 4 year hydraulic to twice working pressure and fresh annual steam certificate. 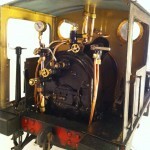 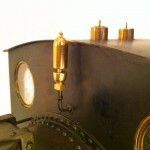 The model was professionally built by a skilled model engineer as a commissioned piece. 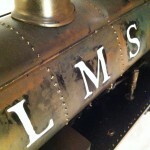 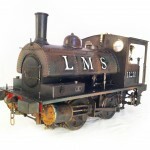 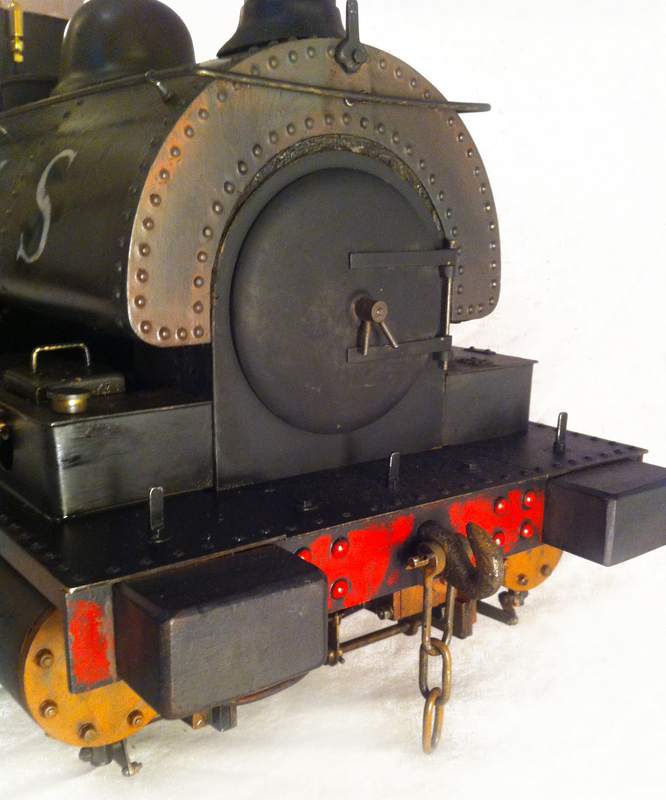 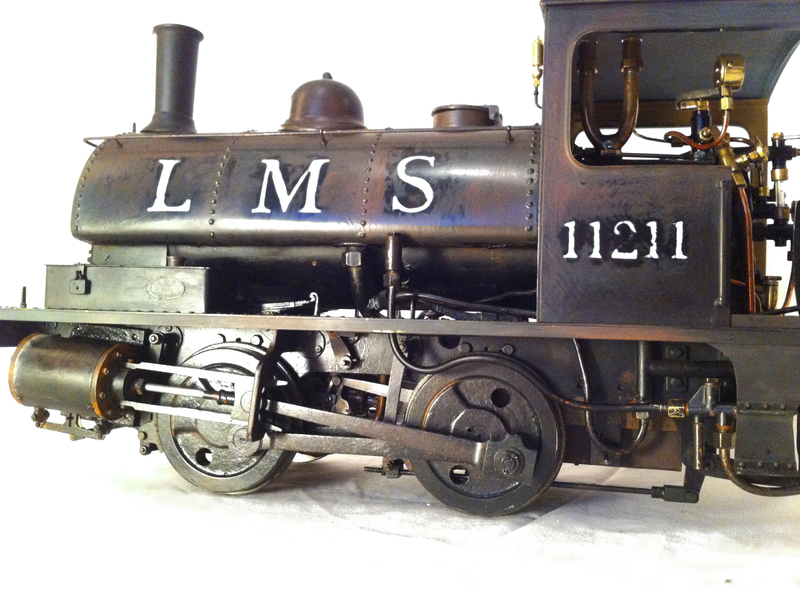 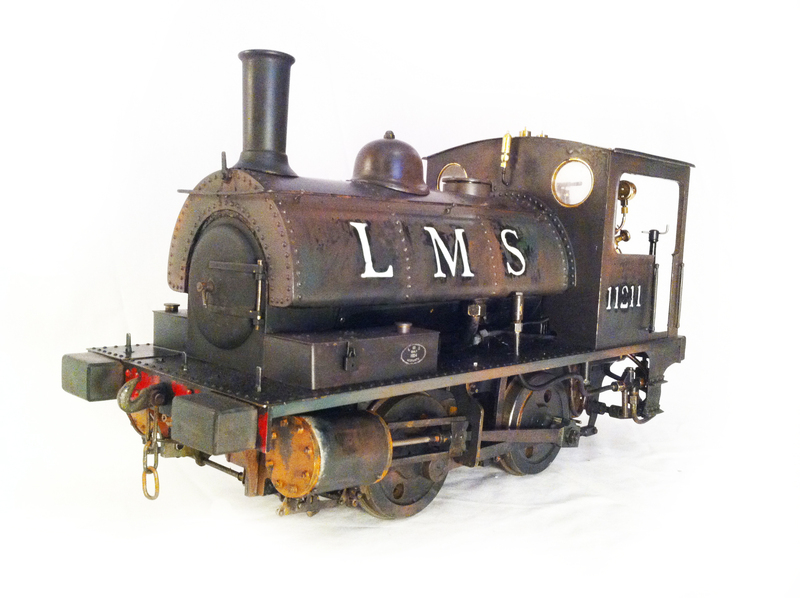 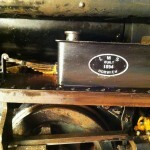 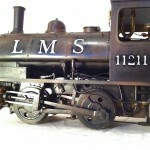 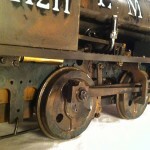 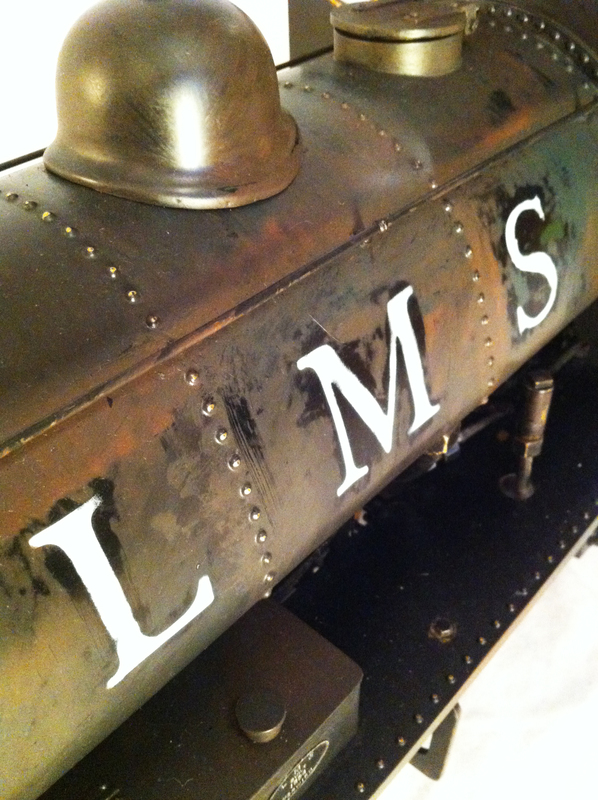 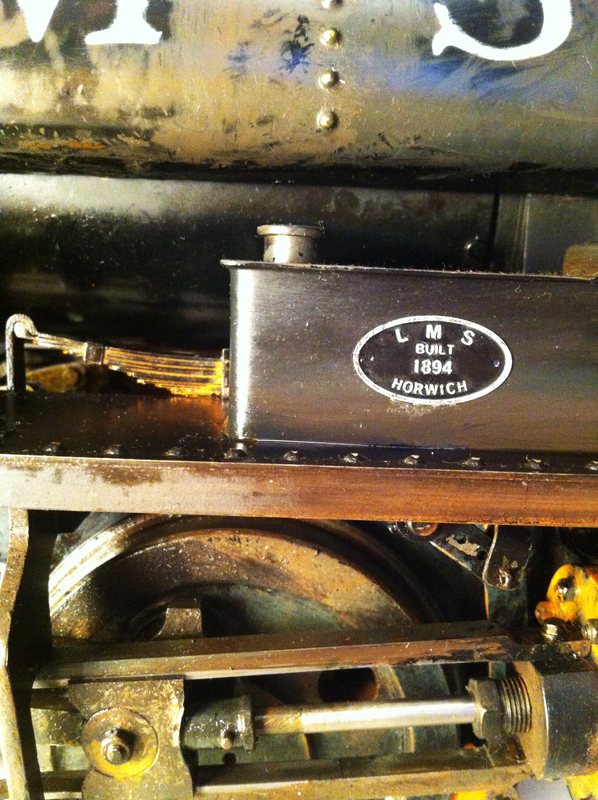 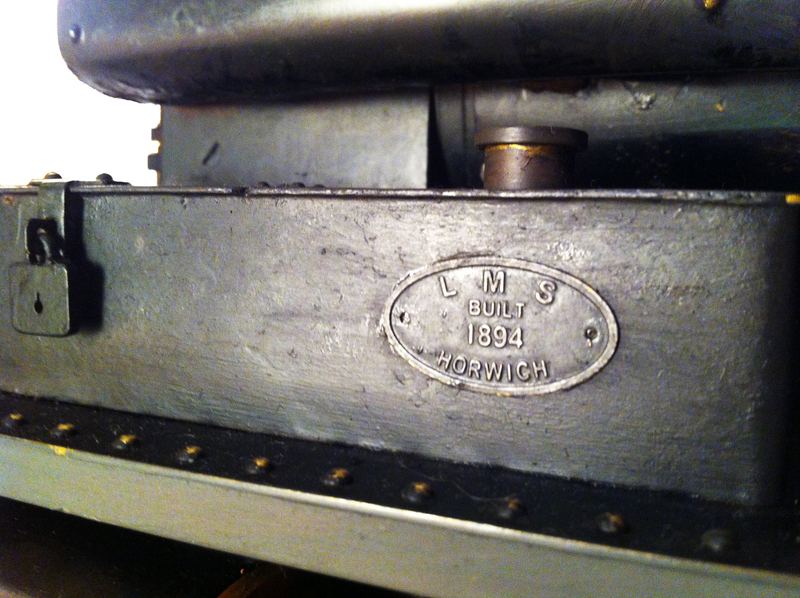 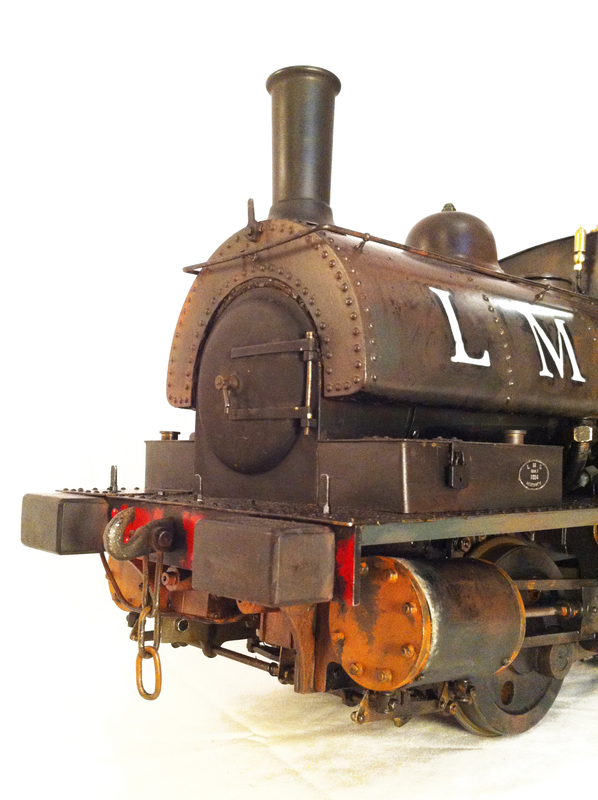 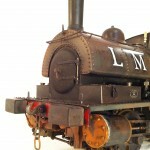 We have chosen to turn the loco out in a heavily weathered LMS livery, complete with painted on oil and rust. 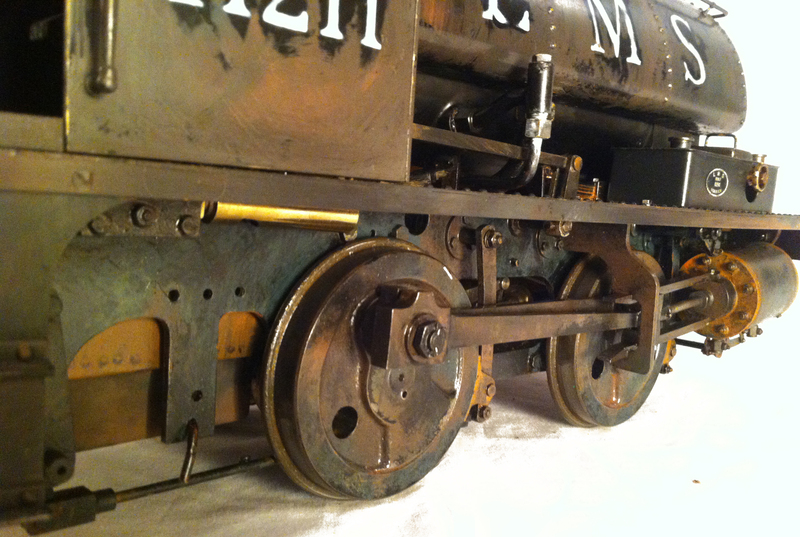 It means you can polish it until your heart’s content and it will still look like the real thing, rather than a toy. 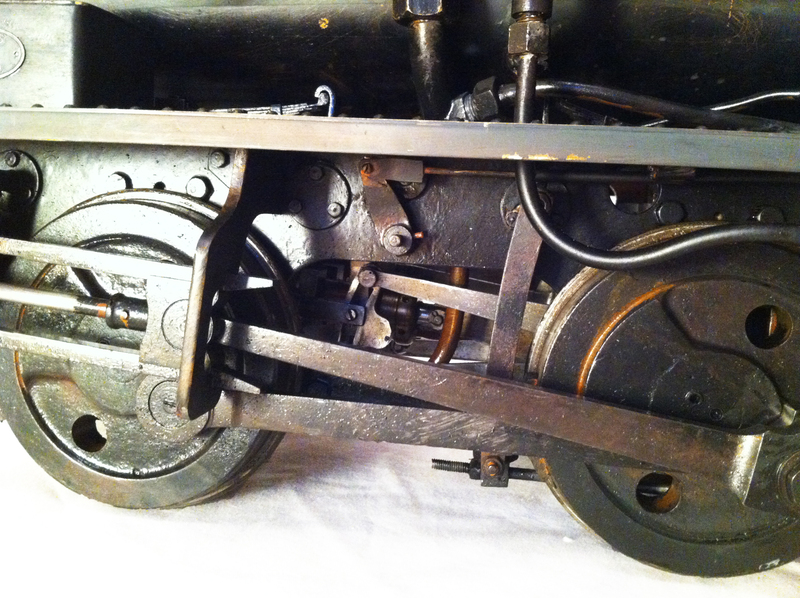 The Pug is fitted with an injector (from a driving truck), an axle water pump and bypass fed from, and returning to the tank and a subtle hand pump located underneath the running boards, but with the handle on the footplate. 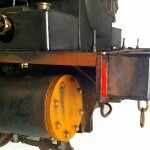 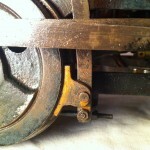 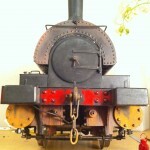 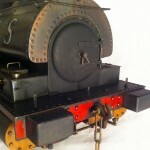 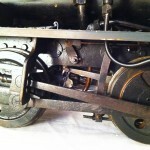 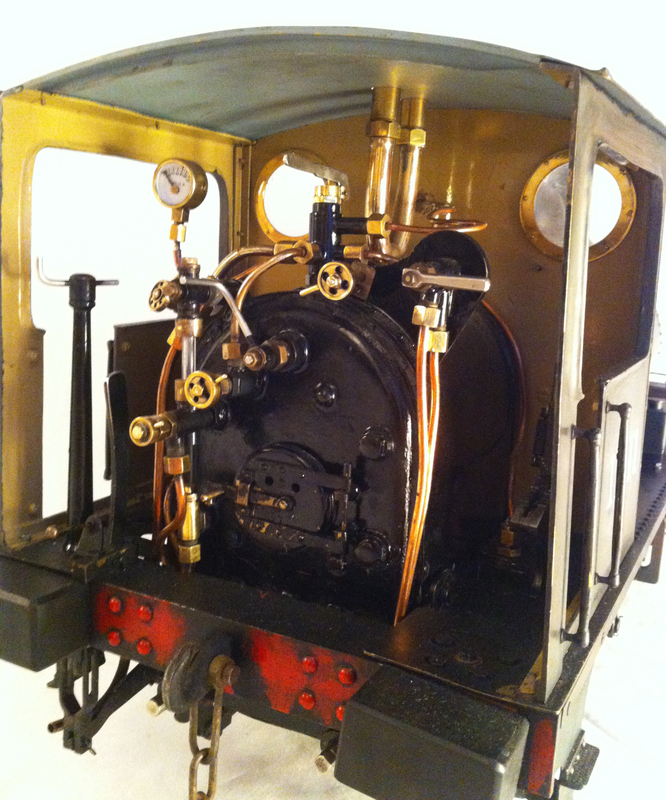 The draincocks are operated from the cab, and there is a very good, and graduatable steam brake fitted. 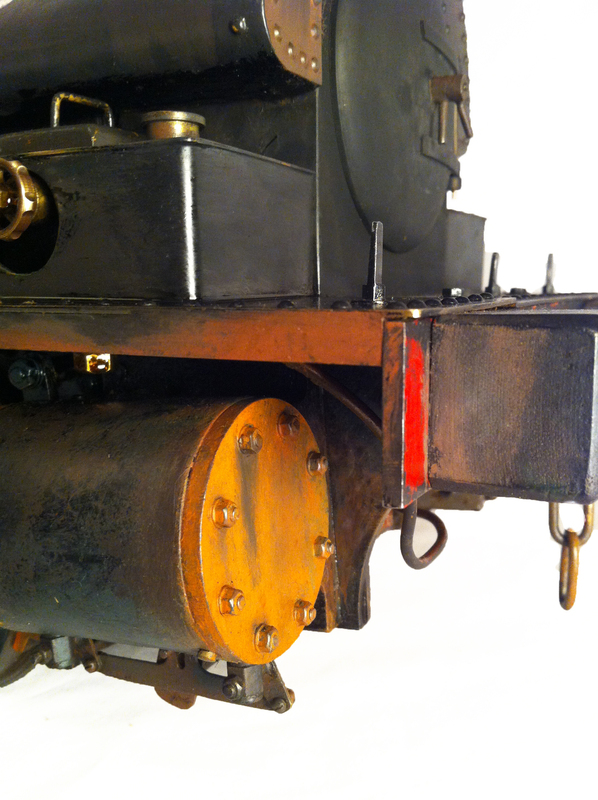 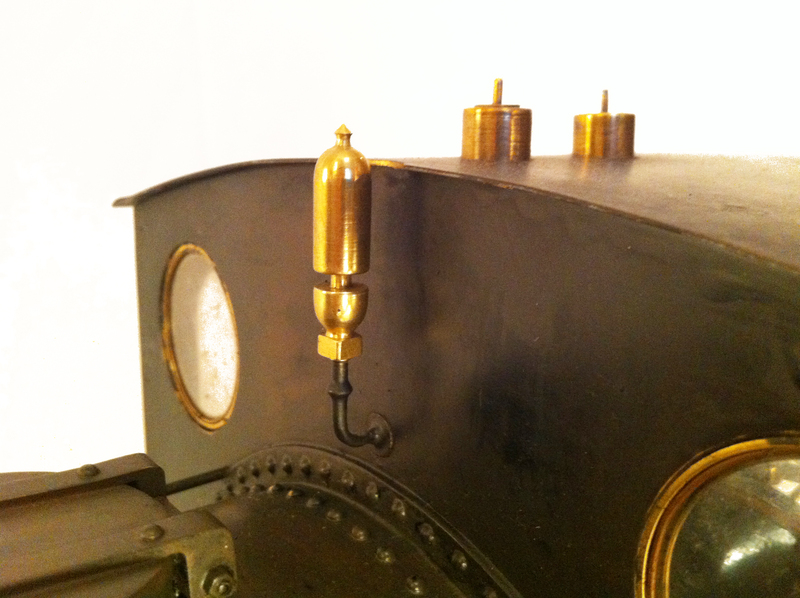 The whistle is under the running boards, but the dummy whistle is plumbed in to the same feed so that it blows steam from the right places when you pull the lever. 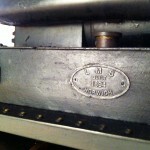 The Ashpan and grate is held in by a quick release pin, so the fire can be dropped and the whole clean unit popped back in within about 20 seconds at the end of the day’s steaming. 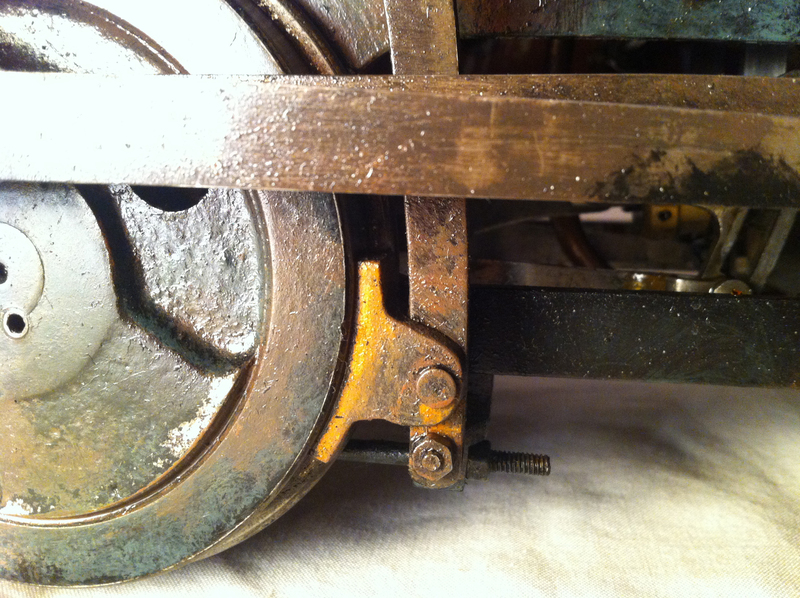 Lubrication is via a mechanical lubricator hidden in the front right hand sandbox. 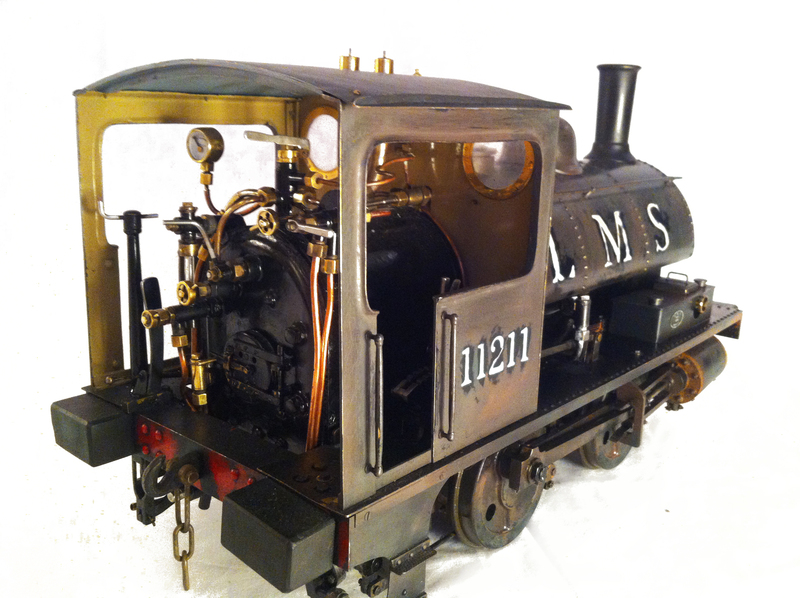 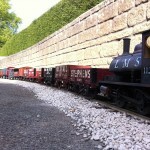 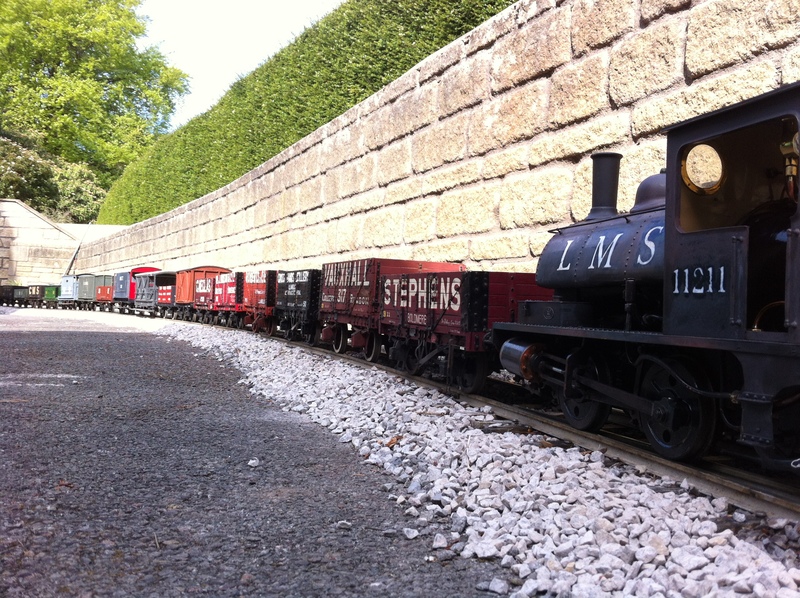 Ideal GL5 shunting engine for anyone wishing to join in the fun at Gilling!